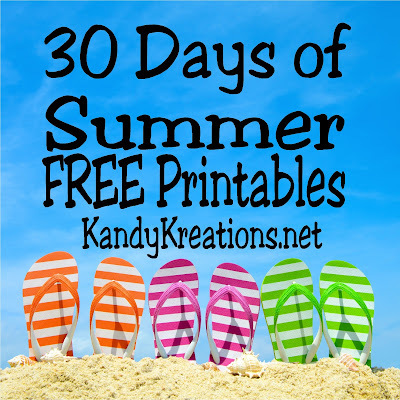 Give the kids a fun and easy travel game on your summer road trips with this free printable game. 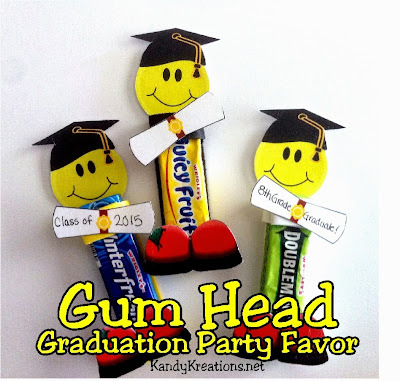 The kids will love the activity and you'll love the lack of "are we there yet?" Traveling with kids can be hard. After a 12 hour road trip recently, I can testify to finding it hard to keep the kids busy and out of each other's space for longer than 10 minutes. 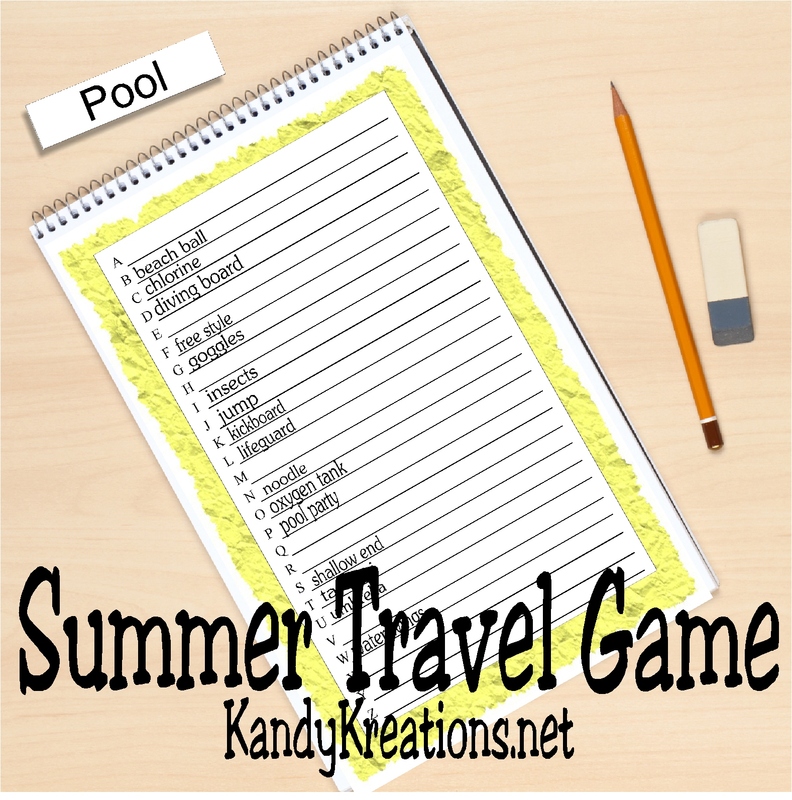 So we came up with this summer travel game printable. I was amazed that it kept the kids busy for quite a while. We all managed to have a pretty good time despite the long ride. 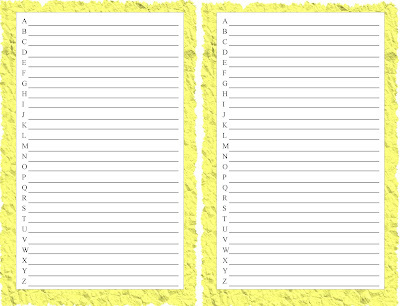 The game starts with an A-Z alphabet printable. 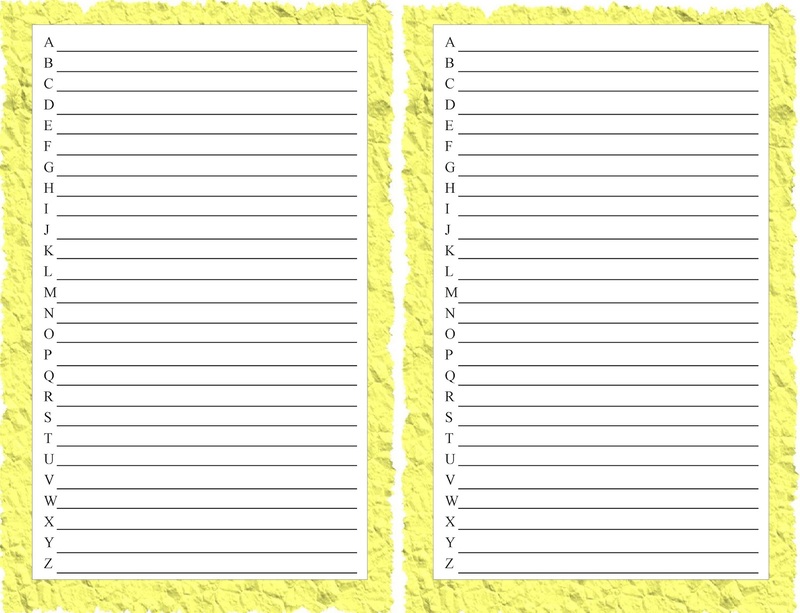 The idea is to try and come up with words starting with A all through Z about a certain subject. Give a point for each word that you can come up with that is not repeated by another player. 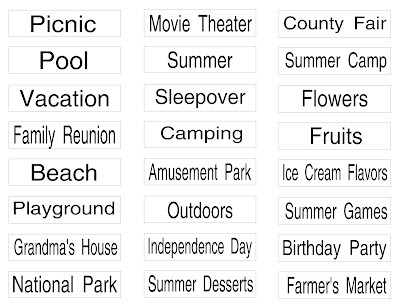 Such as if the subject is "ice cream flavors", try to come up as many flavors as you can that start with each letter of the alphabet. You can use "mint" for M, "Chocolate Chip" for C, or "Raspberry ice" for R. If one of the other players says any of these same flavors, you lose the word. If no one else has the same flavor, give the player a point per use of the letter, like 2 points for "chocolate chip." Even the driver can play along too. 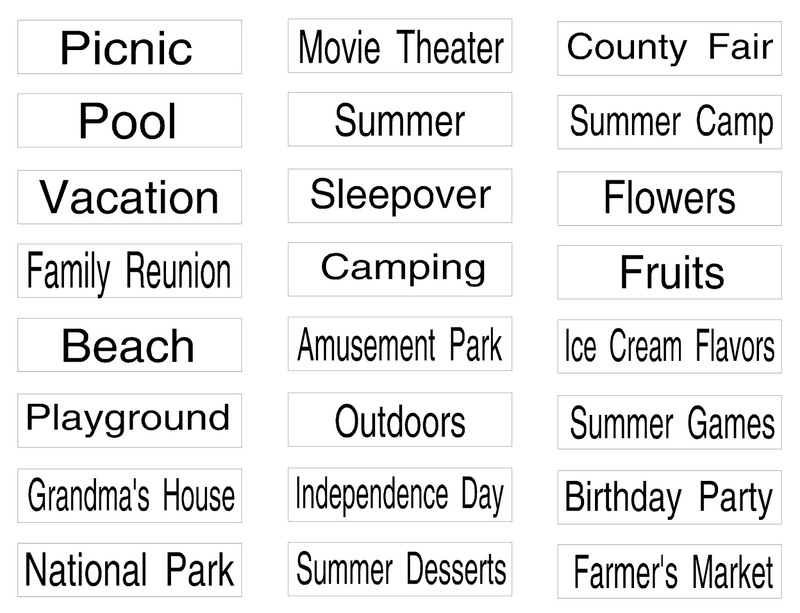 If you are using "Sleepovers" as your subject, before you read all of the words for "A", give the driver 10 seconds to come up with a word for "A". If the driver comes up with a word that someone else used, the driver and the other player both lose their words. If not, then the driver gets a point. This game should keep the kids busy for a while with 24 different subjects and the opportunity to create your own along the way. What kind of games do you play with the kids while traveling for summer vacation?